The demand for electric vehicles is rising, which has had a knock-on effect on battery producers, as batteries – alongside the electric motor – are the heart of E-cars. The battery accounts for between 30 and 40% of the value added in purely electric vehicles. Around the world, new factories are being built and vehicle manufacturers as well as battery producers are looking for automation. The production of lithium-ion batteries is presenting automation technology with special challenges, from the production of electrodes, to the production of cells and through to the assembly of the battery module. 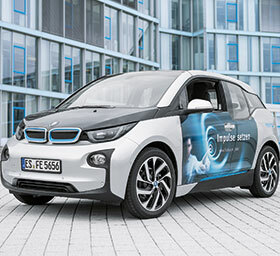 In the last two years, Festo’s revenues in the growth market of electro-mobility doubled year on year. The automation provider advises and supplies major global customers such as the Korean battery manufacturer LG Chem. The key components in Festo’s success here are its broad product range including copper-free products, its services and engineering tools as well as a worldwide team with specialist know-how and solution competence that provides customers with expert advice in project planning and conceptualisation. Festo offers everything from a single source: standard handling, special solutions and copper-free products that do not damage or contaminate the sensitive lithium-ion cells during handling. Thanks to the use of state-of-the-art materials, roughly 95% of Festo’s standard product portfolio is already free of copper. Since 2017, Festo has also offered special copper-free products that are oriented towards current market criteria: the guide bearings, bearings and all parts that generate friction are free of copper. Festo’s standard products also meet ISO 6 clean-room conditions and more. The products are tested in the company’s own Competence Centre for Cleanroom Technology in Singapore, in cooperation with a local university. Thanks to the engineering tools from Festo, solutions and systems can be virtually measured and designed, thus saving time and costs in project planning and design. This phase represents 25-30% of the overall service life costs in machine and plant construction, while energy-efficient products and services help to reduce power consumption during production.